Store Home » Essential Oil Uses » Colds & Congestion Essential Oils » Silky Scents EO222-10ML 100 Percent Pure Therapeutic Grade Cubeb Essential Oil - 10 ml. Silky Scents EO222-10ML 100 Percent Pure Therapeutic Grade Cubeb Essential Oil - 10 ml. 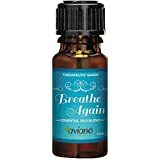 100% Pure Therapeutic Grade Breathe Blend Ingredients: 100% Pure & Undiluted Therapeutic Grade Essential oils of: Peppermint, Spearmint, Lavender, Lemon, Rosemary, and Eucalyptus. Feeling under the weather? Put some of this in the diffuser or just inhale directly to get a whiff of fresh air and to help breathe easier. Aviano Botanicals always offers 100% Guarantee or your Money Back Policy for all of its' Products! Silky Scents EO223-5ML 100 Percent Pure Therapeutic Grade Hinoki Essential Oil - 5 ml. FeaturesHinoki Essential Oil Consistency - Thin Aromatic Description - Hinoki Wood Essential Oil has a sweet woody scent. Perfumery Note - Top Blends well with - Rosewood (Indian) Bergamot Boronia Cypress Calamus Cassia Jasmine Absolute Juniper Berry Neroli Mimosa Absolute Labdanum Frankincense Clary Sage Vetiver Rosemary and Ylang Ylang I. 100% Pure Essential Oil 100% Pure Therapeutic Grade Capacity - 5 ml. Aromatherapy PropertiesHinoki Essential Oil is non-toxic well known for its ability to naturally kill bacteria viruses viral infections and fungus. Hinoki Oil is said to have a relaxing and decongestant effect on the body helping to relieve tension and stress. It is also excellent for alleviating sinus and chest congestion and respiratory problems. Hinoki Oil is considered to be gentle on the skin and is a very effective antiseptic for healing and treating skin problems such as rashes cuts abrasions and minor skin irritations. Silky Scents EO49-10ML 100 Percent Pure Therapeutic Grade Spearmint Essential Oil - 10 ml. Aromatherapy Properties: (Uses) Antispasmodic emmenagogue insecticide parturient and stimulant. Indicated for all sorts of respiratory problems sinusitis and chronic bronchitis. If used in full body massage use only a minute amount; massage in local areas may be preferable. Possibility of eye irritation as well as an irritant on sensitive skin. Stimulates a tired mind. Helpful with digestive problems such as vomiting flatulence constipation and diarrhea. Seems to relax stomach muscles relieves hiccups and nausea. May help with travel sickness. Good oil to use externally on children with digestive problems such as nausea constipation and diarrhea. Blends well with: Basil Holy Grapefruit Pink Lemon and Rosemary. May be used to relieve pruritus. Don't use during pregnancy. Features100% Pure Essential Oil Raw Material - Spearmint Botanical Name - Mentha Spicata Therapeutic Grade Capacity - 10 ml.